Deborah Freedman is a painter and printmaker whose work has been exhibited in numerous venues including; The Brooklyn Museum of Art, Artists Space, The Cooper-Hewitt Museum of Design, The Kaohsiung Museum of Fine Arts in Hong Kong, Albright Knox Gallery, and Rutgers University. Gallery exhibits include Sideshow, Brooklyn, The Painting Center, NYC, IPCNY, Lori Bookstein Gallery, Gallery AMI&KANOKO, Osaka, Japan and The Printmaking Workshop. It is included in corporate and private collections including The New York Public Library, The Metropolitan Museum of Art, Rutgers University, NASA and the US Dept. of State. Freedman studied painting and printmaking at N. Y. U. with Knox Martin, Audrey Flack, James Wines and Robert Blackburn. She was a MacDowell Colony Fellow and Guest Artist at the Printmaking Workshop. 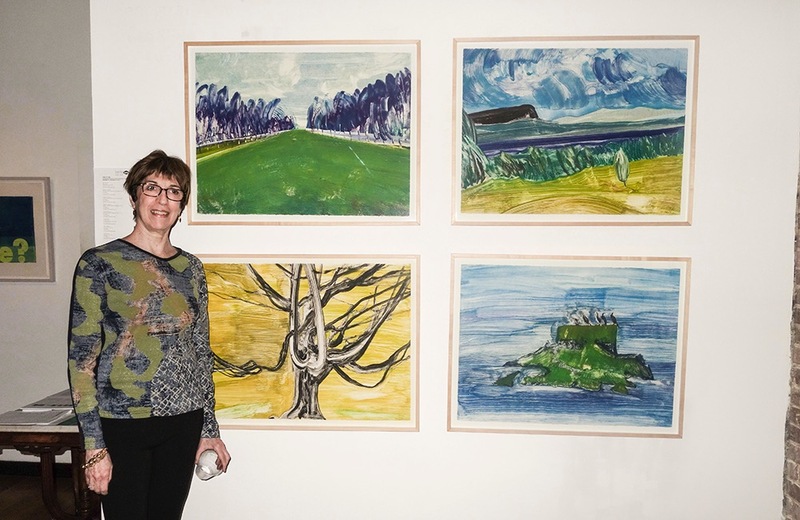 In 2012 she was commissioned to create a suite of monoprints for the FDR Four Freedoms Park on Roosevelt Island. She is co-owner of VanDeb Editions Inc. with Marjorie VanDyke.